31 Jan 2017 --- Cereal giant Weetabix has announced a £30 million (US$37 million) capital investment program across its British manufacturing sites which will create a new production capacity by 2018 to keep pace with increasing sales domestically and overseas. The investment comes on the back of Weetabix’s UK market share for cereals and drinks rising from 15.3% to 16.4% in the past year. However, Giles Turrell, the chief executive of Weetabix, said prices of Weetabix could rise, although this would be a last resort and any increase would be minimal. Even if Weetabix wheat is sourced from the UK, it is priced in dollars and the weak pound means more investment to buy the cereal grain. 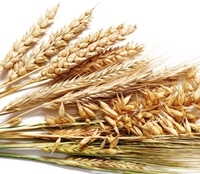 Just last week Weetabix reaffirmed its commitment to sourcing wheat from farmers located within a 50 mile radius of its factory in Northamptonshire, England, but nevertheless the commodity is still priced in dollars. The overall level of inflation rose by 1.6 per cent last month, up from 1.2 per cent on the previous month. He made the comments about a potential price increase caused by the fallout of Brexit while speaking to the BBC. The capital investment program relates to UK manufacturing sites in Burton Latimer and Corby and will lead to new jobs and follows the launch of Weetabix Protein which added £7 million (US$8.7 million) to sales in 2016, and was the biggest new cereal launch in the category. “We’ve consistently bucked the market, through our innovation and focus on nutritionally strong products that taste great. We have been successful in increasing our sales of brands such as Weetabix and Alpen, with consumers trusting us to deliver best in class nutrition and taste,” says Giles Turrell, CEO of Weetabix Food Company. The company employs 1,100 people in the UK, including 800 in manufacturing, and 1,800 globally. The investment news was welcomed by Philip Hollobone MP for the Kettering Constituency. “As someone who eats Weetabix every day I am delighted at this new investment in the local economy and am confident that Weetabix has a bright future ahead of it,” he said. Alongside cereals, Weetabix runs a breakfast drinks business. Weetabix On the Go, has grown rapidly, recently selling its 18 millionth bottle. As a standalone brand it would now be in the top 20 breakfast brands having grown 70% in 2016. Meanwhile the impact that Brexit may have on UK plant protection is being explored in the latest edition of Horizon reports from the Agriculture and Horticulture Development Board (AHDB). It looks at the various pieces of legislation impacting the use of plant Protection Products (PPPs) in the UK and puts forward four broad options for post-Brexit regulation. PPPs currently go through a harmonized process throughout Europe, with active substances receiving general approval at EU level and specific product uses controlled at national level. Strict hazard-based criteria mean about 58 per cent of applications are rejected by the EU, which has implications in terms of time and associated costs. The number of available PPPs and their efficacy are being pressured by an increasingly challenging regulatory environment and the growing resistance of pests, diseases and weeds to products now on the market. “There is immense complexity in this area of regulation in terms of the UK’s obligations at both EU and international level. Although plant protection may not be at the top of the priority list for negotiators, the continued supply of safe and nutritious food is of fundamental importance and these products are often key to growing healthy and profitable crops,” says Sarah Baker, AHDB Senior Analyst, who wrote the report. “In the short term, it is likely not much will change as wider Brexit issues are more likely to take precedence but the industry cannot treat it as business as usual. The UK must start thinking about what it needs to achieve through plant protection and what might be gained from a new regulatory framework.